"Visual and performing art students who graduated in 2014 had an average starting salary of $36,222, according to the National Association of Colleges and Employers. That’s higher than majors in biology and education," according to author Katia Savchuk, Forbes Staff Writer. This isn't news to Pennsylvania College of Art & Design. 97% of respondents to our annual survey of graduates reported being employed full-time or pursuing advanced education within one year of graduation. Our graduates are successful creators, designers, thinkers, and makers. 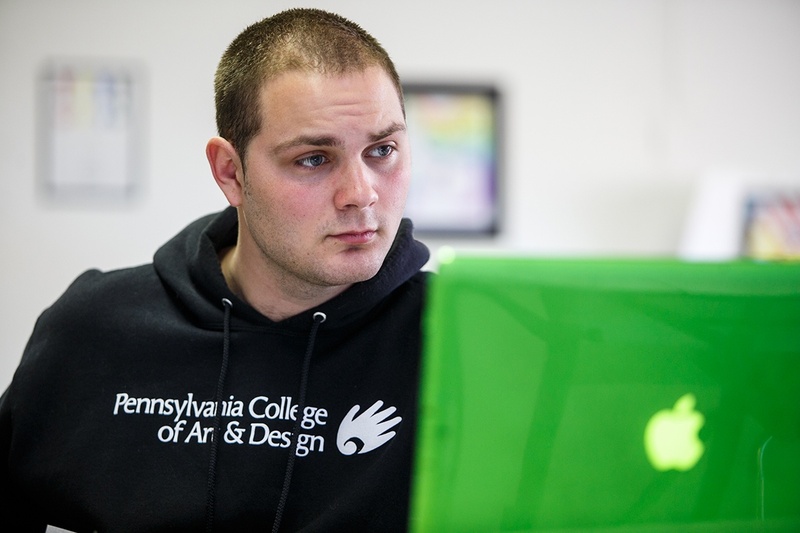 How does PCA&D work to prepare our students for a life in art…AND for employment? 1. 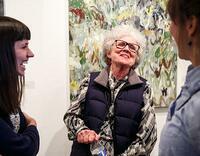 Working Artists and Designers as Faculty. All PCA&D faculty are practicing artists and designers who bring a wealth of knowledge and experience into the classroom. They also work with students individually to guide them toward their profession. PCA&D is proud of our highly accomplished faculty who bring professional experiences and learning from around the globe. Learn more about our faculty here. 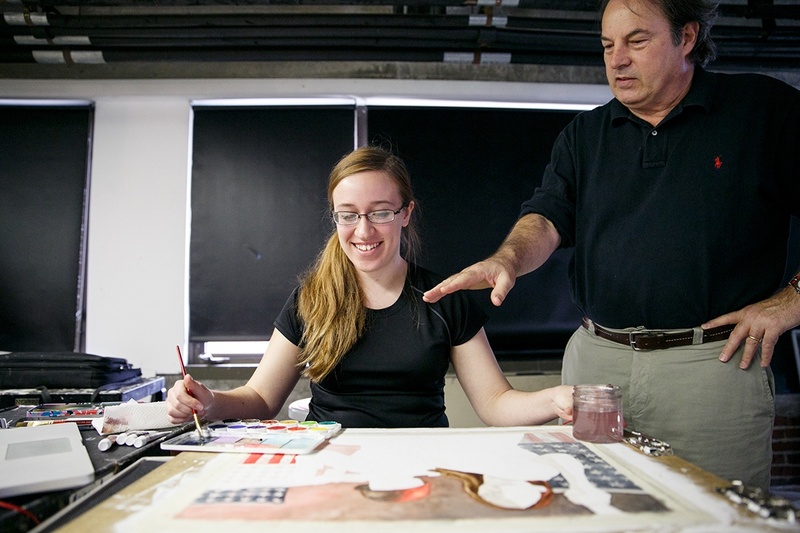 The internship experience at Pennsylvania College of Art & Design is a vital link between your college study of the visual arts and the many ways that your education can be applied in the real world. Based on this philosophy, PCA&D requires all students to successfully complete a professional-level internship prior to graduation, and works with the students to match their career goals with an appropriate employer. PCA&D is a private, professional art college offering BFA degrees in Fine Art, Illustration, Photography, Graphic Design and Digital Media that enable students to pursue art as their life’s work. 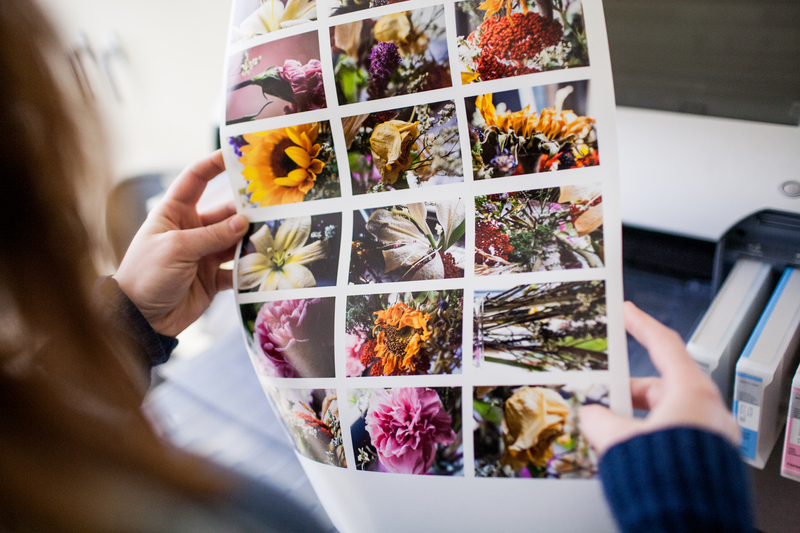 PCA&D’s foundation year curriculum provides the basis for all disciplines in the visual arts and our liberal arts curriculum builds critical-thinking and effective writing, research, and analysis skills . 4. Coursework that includes Professional Practice. In addition to required internships for all students, students are exposed to client-based coursework, competitions, guest artist lectures, field trips, and during their senior year, professional practice courses. Examples of areas covered include business ethics, copyright laws, taxes, billing, pricing, contracts, self-promotion, resume building, grant writing, and other “nuts and bolts” information important to the working artist’s life. 5. Opportunities and Connections to the Working World. 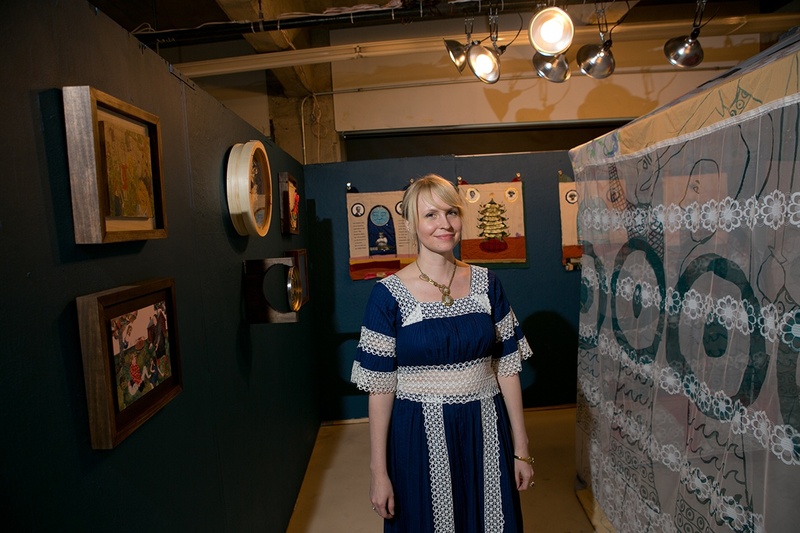 Pennsylvania College of Art & Design recommends that students become members of a professional organization and participate in department-sponsored events. PCA&D encourages students to take that first step in demonstrating a commitment to their professional interest and assisting them in understanding the profession. 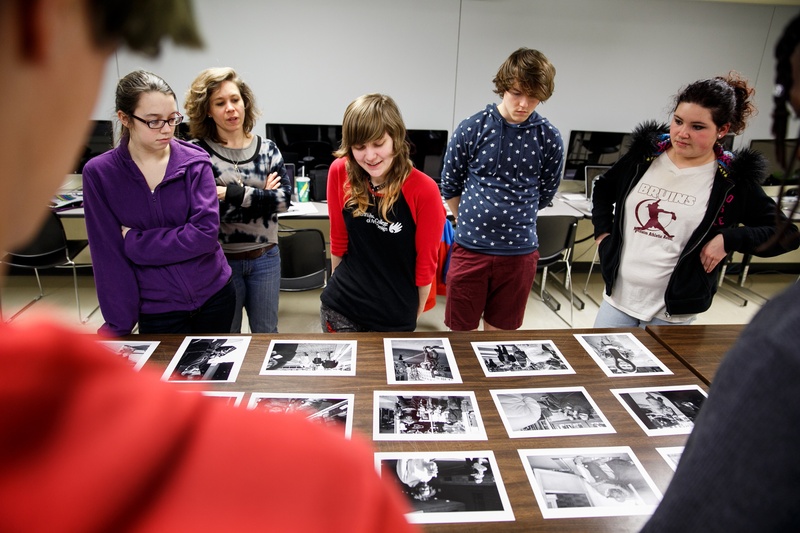 Some of these professional organizations with student chapters at PCA&D include The Society of Photographic Education, American Institute of Graphic Arts (AIGA), Society of Illustrators. In addition, events like 24-Hour Comics and Designathon offer more opportunities for our students to practice their art, receive feedback and make connections. All P CA&D senior students are required to complete a Senior Thesis, a complex project that caps their learning experience and creates a cornerstone of their professional art portfolio. Seniors are assigned individual studio spaces to help them develop and create their thesis projects. These spaces allow students to work alongside, collaborate, and be inspired by their fellow studio mates, as well as work individually with their instructors. At graduation, the Seniors exhibit their thesis projects at PCA&D’s Senior Show and celebration, the largest single annual gallery event in Lancaster. All current degree students and alumni are eligible to use PCA&D’s Network to Success, our online career and job center. This service allows you to search for jobs targeted to PCA&D students, search through more than 95,000 jobs in the expanded network, review your search history, upload your portfolio and resume, and much more. PCA&D is proud of our alumni and the innovative work they are accomplishing. They have built their careers in art upon their professional experiences and industry contacts from their time as students. 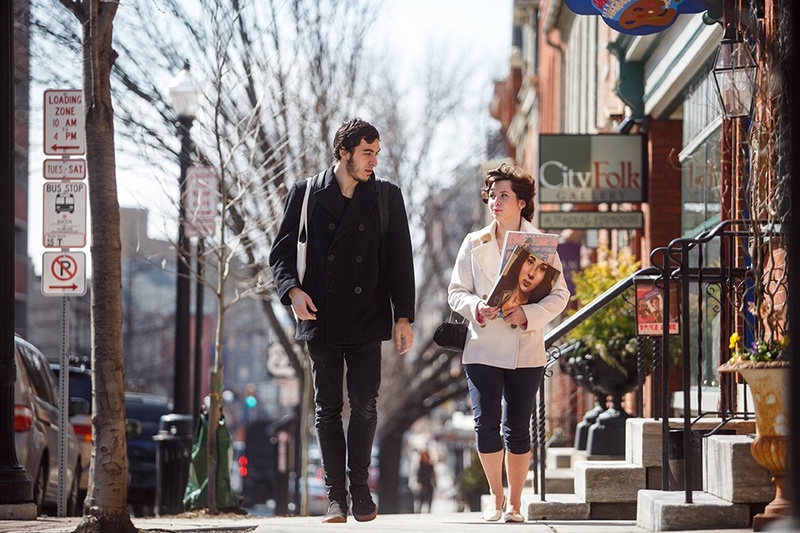 Pennsylvania College of Art & Design’s innovative programs, challenging curriculum, required internships, client-based projects and visiting artists encourage students to explore their creativity and foster growth through real-world experiences. You can read more about our alumni in our alumni profiles.